As a founding member of the Sustainable Furnishings Council (SFC), we are committed to transparency and improvement in everything we do, from material sourcing and manufacturing to supporting local communities. Sustainability has been a cornerstone of Room & Board values since we opened our doors in 1980. Read on to learn more about some of the ways we keep sustainability at the forefront of our business. 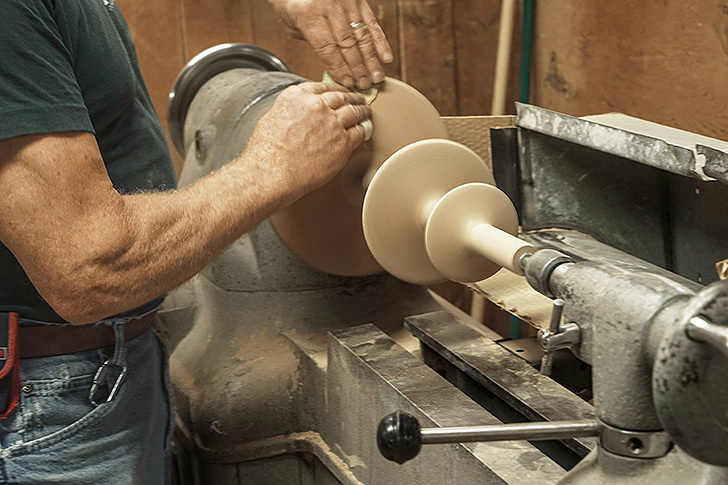 A woodworker turns an end table base at MH Parks in Massachusetts. We craft more than 90% of our products in the U.S. and 15,000 American artisans help make Room & Board furniture and home decor. In addition, working with family-owned companies around the U.S. means that materials and finished goods don’t have to travel as far to get to you, which reduces the environmental impact. 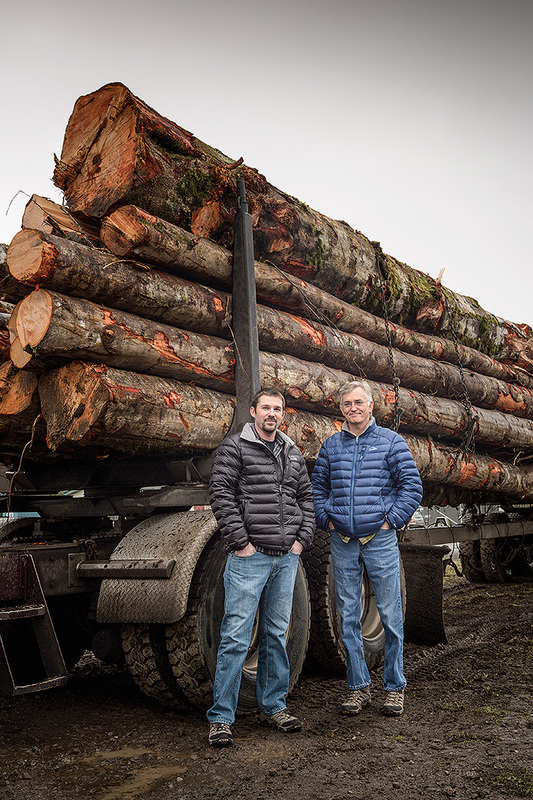 Manufacturing partners take delivery of locally harvested lumber at Wood Castle in Oregon. Our commitment to natural materials means we use wood from carefully managed forests, often located near our manufacturers’ workshops. In 2017, our woodworking partners planted 60,000 trees in the U.S. 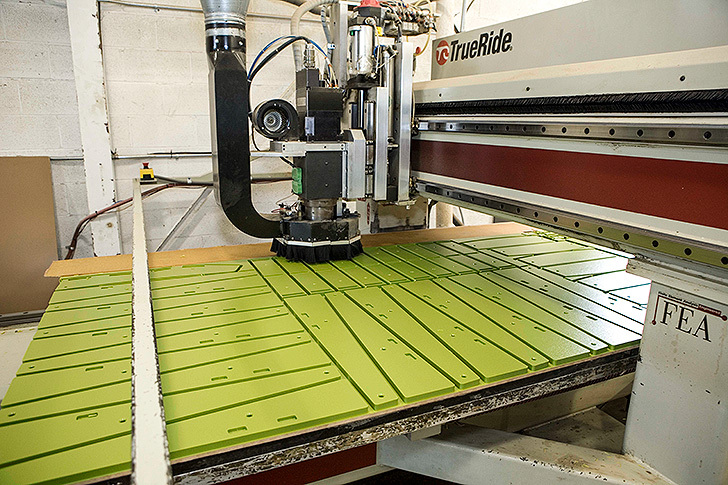 Recycled high-density plastic on a laser cutting table at Loll Designs in Minnesota. Room & Board offers a wide range of outdoor furniture and home decor made from 100% recycled high-density polyethylene (HDPE), which is also fully recyclable. We also offer rugs made with ECONYL® yarn, produced from recycled nylon that would otherwise end up in landfills. Our reclaimed woods come from American barns, granaries, factories or row homes, lending one-of-a-kind character while salvaging beautiful materials. See these beautiful woods in products like our Bubble reclaimed wood stool or our Etting bookcase. 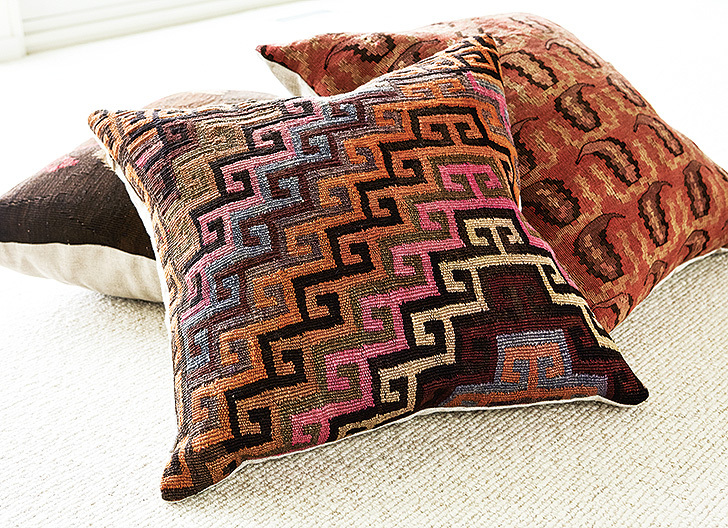 We’ve also designed a range of pillows and throws that reuse vintage textiles from around the world. These accessories are not only sustainable, but each one is unique and provides a meaningful touch. I applaud Room and Board’s commitment to sustainable sourcing and leadership in the sustainable furnishing sector. I only wish it extended across your product line. I was going to purchase a Montego dining table, chairs and sofa until I realized that sustainably source Ipe wood is next to impossible to source at this time due to rampant fraud and timber laundering in South America. I urge Room and Board to offer a sustainable alternative to Ipe wood for the Montego Collection. American consumers rely on you to offer the highest quality products. The vast majority are unaware of the environmental and social impacts of illegal tropical hardwood logging and ensuing deforestation and degradation. There must be a responsible and ethical alternative for this exquisitely designed collection of furniture that does not entail consuming rainforest on our patios and decks. Emily, thank you for your honest but kind comment. We know ipe sourcing is an issue, and while we feel confident in our supplier, your comment inspired us to revisit this ongoing conversation with them. We are working on alternatives that are sourced and finished in the U.S., like thermally modified ash, which we hope to be able to offer as soon as it passes our testing for outdoor durability. Thanks again for your feedback.